1) Once you have purchased your jeans (we recommend buying slightly larger than your usual size since they will shrink), submerge you denim in a tub of warm water for at least an hour. Use shampoo bottles to hold them down. 2) Hang the jeans to dry. 3) While they are somewhat damp, put the jeans on. Wear them as they finish drying, and they will shrink just enough to mould to your body like magic. ?4) Avoid washing them, so they continue to break in and form to your shape as you wear them. 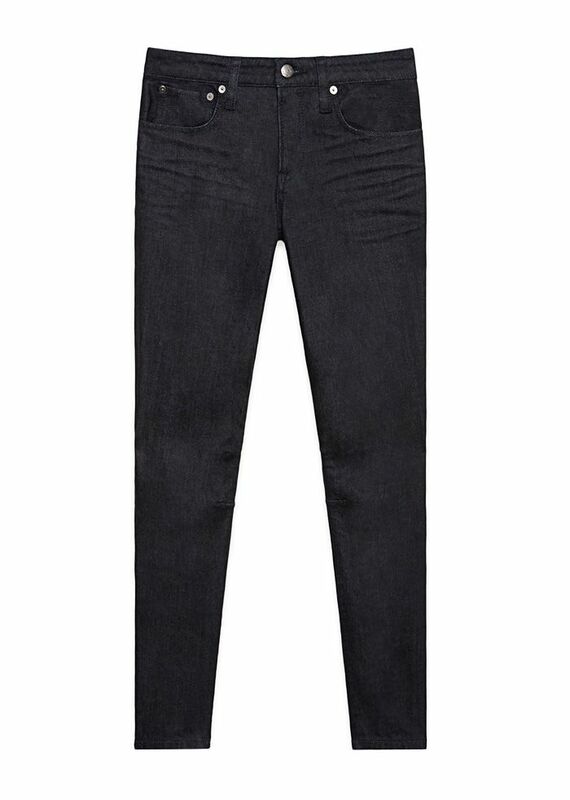 Now that you know how to get the ultimate fit, scroll down to shop our raw denim picks. Word around our office: these jeans are incredible. These already look like they would fit perfectly—just imagine how they’ll fit after you soak them. There’s a reason A.P.C. jeans are the raw denim standard. Why limit your raw denim revolution to jeans? Please meet the jeans you’ll wear for the rest of your life. All of 3x1’s denim is raw, so shop with abandon. Would you try this trick? Let us know in the comments below, plus watch Elle Fanning stretch her raw denim in this adorable scene from Ginger & Rosa.